We have one of the Midwest’s largest selections of used and takeoff truck beds. Most used beds are southern and western used and of course the new takeoff truck beds that come off the most current year models. 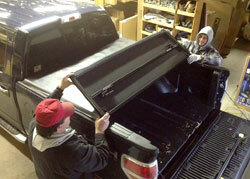 Ford, Chevy, Dodge, are just some of the truck beds we carry. 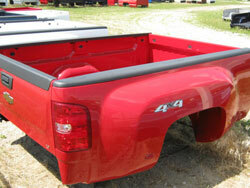 In just about any size short, long, and dually beds. For years we have dealt, in takeoff wheels & tires, bumpers, hitches, mirrors, tailgates, and truck beds. Along with many other odd OEM Parts that most people don't realize get taken off. 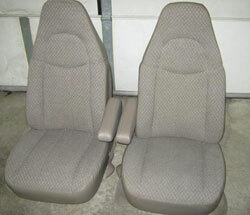 We have a large selection of OEM parts, so let us know what you are looking for. For over 20 years we have been selling the highest quality new replacement auto body panels. Our parts are from the top manufacturers in the world and will far exceed any manufactures specifications. We carry a full line of Fenders, Hoods, Doors, Patch Panels, Cab Corners, Rocker Panels, Wheel Arches, Radiators, Air Condensers, Headlights, Taillights, Tailgates, Bumpers, Grilles, Bezels, Inner Fenders, Mirrors, Radiator Supports, Filler Panels and more! 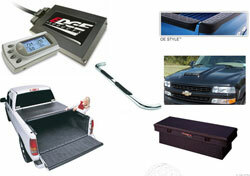 Today we have access to over 5,000 different accessories for your vehicle. Whether it is your everyday driver or your weekend warrior, we can help you outfit and accessorize that truck, van, SUV, CUV, Jeep, or car. Let our expertise’s help you get the part for your vehicle. We carry just about anything from: Air Bag Suspensions, Bug Shields, Step Bars, Grill Guards, Mud Flaps, Tonneau Covers, and much more! We install just about any accessory we sell. Let our professional staff handle the hard part of putting that unique part on your vehicle. We install: Nerf Bars, Grille Guards, Running Boards, Tool Boxes, Tonneau Covers, Hitches, 5th Wheel and Gooseneck Hitches, Air Bag Suspensions, Mud Flaps, Towing Mirrors, and much more!